Ingrid Betancourt was back in Paris. 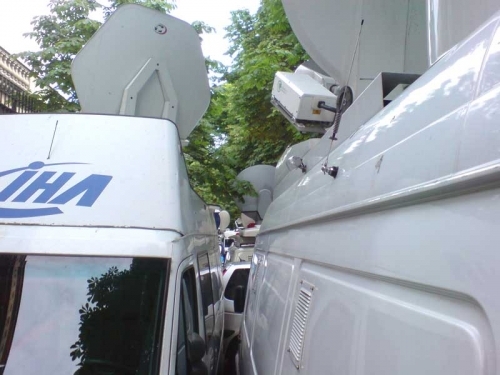 Technician Peter Dokman of Videolink Holland did the uplink for France24. (globecast) The uplink location was not a perfect place to hit the satellite: Trees everywhere. 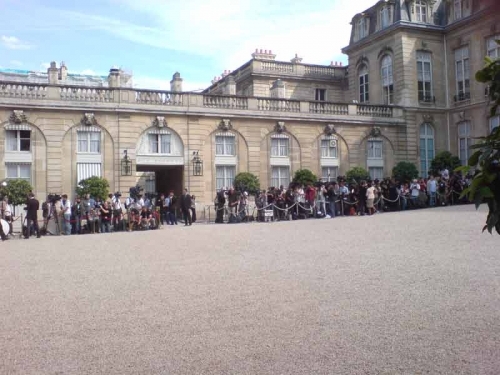 05.07.2008 Ingrid Betancourt was back in Paris. 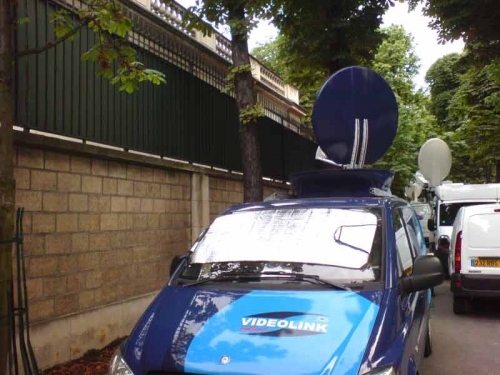 Technician Peter Dokman of Videolink Holland did the uplink for France24. 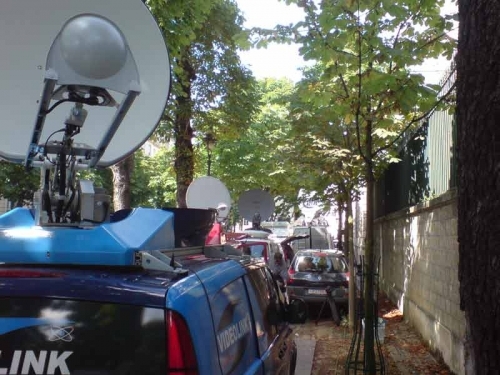 (globecast) The uplink location was not a perfect place to hit the satellite: Trees everywhere.